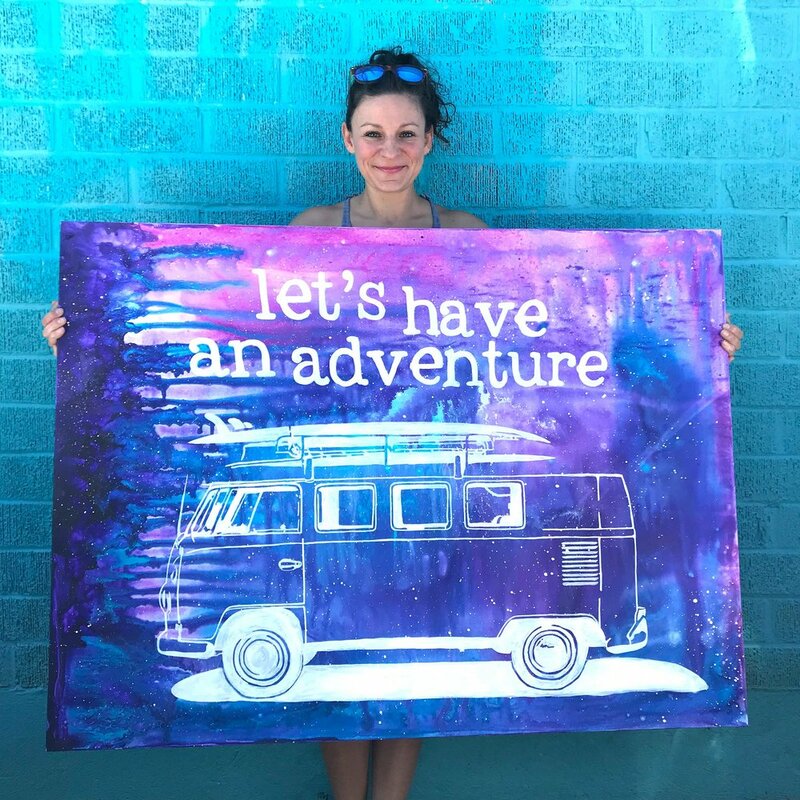 Let’s work together to create a custom painting, a cosmic dreamscape, a magical masterpiece, embedded and infused with your highest-vibe intentions for yourself and your life! Trapped in unhealthy holding patterns? Stagnant, stale, or heavy energetically? Caught in negative thought loops? If you answered yes to any of these experiences, do you want to be free from the weight of these burdens? The thing is, nothing you do seems to propel you forward, am I right? 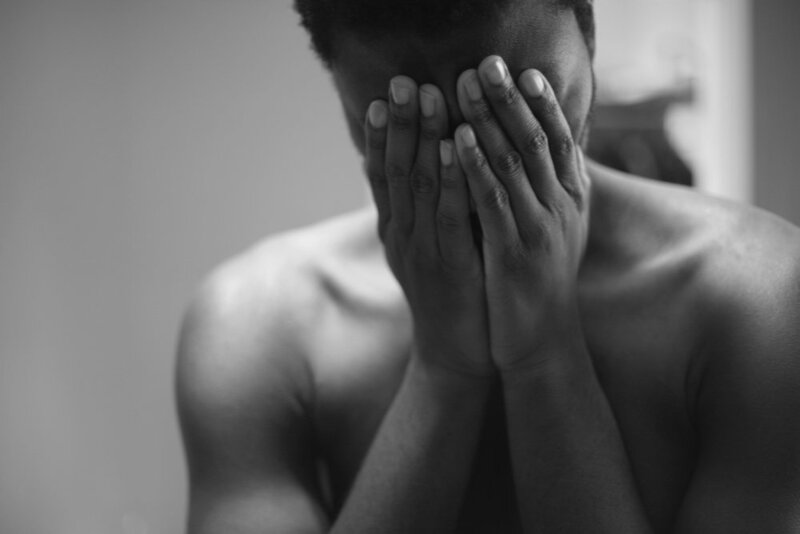 Perhaps you even experience physical aches and pains, as well as fatigue, depression and/or anxiety due to the stress of everyday life. Basically, negative thought patterns have formed blocks of energy in your mind, body and spirit, which makes it a challenge to experience positive, lasting life changes. Imagine the highest, most loving vibration possible. Envision this to be an invisible force that’s much, much bigger than you ~ a benevolent, compassionate, ever-expanding conscious presence. (note - I’m not going to get into anything religious here, don’t worry…) And, even if you have to do this in your head quickly and quietly, ask this higher power for help. You don't have to be specific right now. Just acknowledge that there's something bigger out there than you, say you need help, and be done with it. 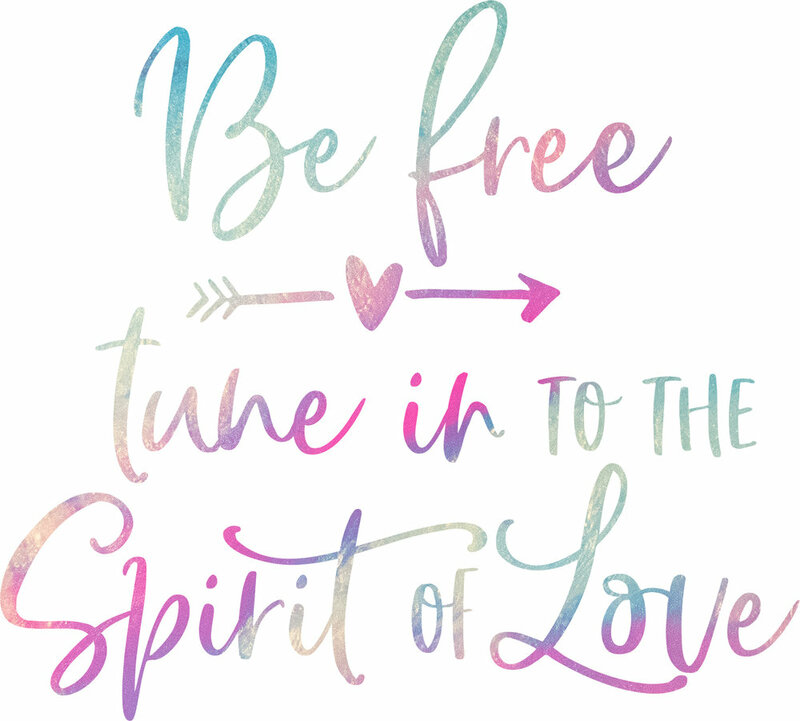 …and tune in to the Spirit of Love! Doesn’t sound too bad, right? What if I told you I can help? And… who the heck am I?! But somehow, I’ve made it through each of those, and each time I did, I had this deep-down feeling like there was a bigger reason for my experience, something that surpassed my understanding at the time, but that one day, I would come to know. Amongst all of these experiences, the most frustrating to deal with have been chronic symptoms of fatigue, nerve pain, anxiety, depression, brain fog, memory and concentration issues, sleep paralysis, visual and audio hallucinations upon sleep/waking, and terrible, haunting nightmares 👹. Some of those things have gotten so bad at times that I started questioning the significance of my own existence. You see... I understand change. I know how to take the positives from a situation, and expand them, to overcome struggle. And now I want to help guide you on your journey through yours. I believe that human beings were not meant to suffer alone. I knew I was born for something bigger than living my own life for me, and through art, I’ve discovered what that is. I was put on this earth to serve a purpose, which is to listen to other women in my life, to lift them up, to be a source of inspiration and encouragement, and to empower those who feel a little low sometimes. My greatest gifts are empathy, compassion, creativity, patience, tenacity, and a willingness to learn and teach new things. And I want to put those things to work, FOR YOU. So we can see you shine in all your glory, you magnificent creature, you. How, you might be asking, will I do this? I’ll help you discover new ways of tapping in to the spirit of love, and guide you into a regular practice of gratitude and conscious language which brings more joy to your daily life. I inspire and encourage you to express your desires, challenges, goals and dreams. I listen with keen and honest interest, and take to heart the importance and uniqueness of your situation. I provide solutions based on the knowledge and wisdom from my personal, educational and professional life experiences. I draw from my various strengths and skills, and use an assertive, intuitive and spontaneous approach to help you address each problem we come across. 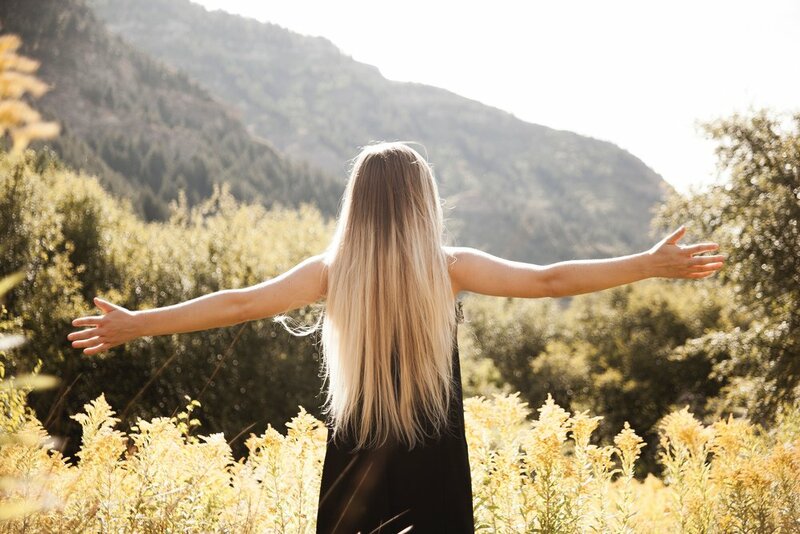 From mixed media arts and technology processes to mindfulness practices and spacial management, I offer you simple ways to help clear the clutter in your mind so you can focus on enjoying your life. I will help you create affirmative phrases that uplift your soul and gently remind you to push yourself toward recognizing your dreams. 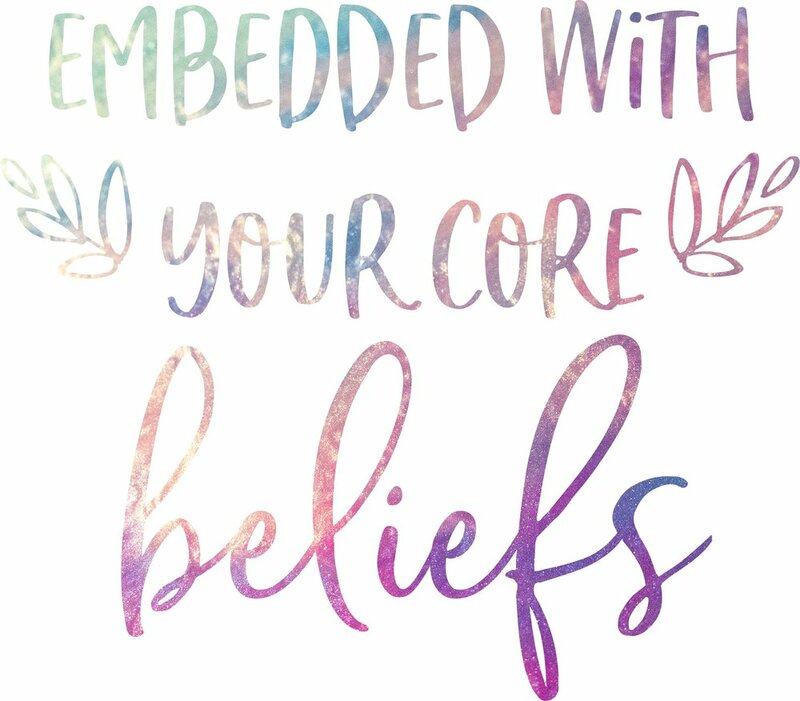 I will help you choose one special phrase and shift the language with you until it feels as positively affirming, truthful and possible as it can be! I will then embed the DNA of this highest-vibe intention into an abstract dreamscape painting, in the size and colors of your choosing, which you get to keep. Every time you view this art, you will be reminded of your empowering statement, which is infused into the original piece! During our co-creation consultation, I will sit down with you one on one to get clear on your biggest life challenges and goals. We will work together to uncover your empowering DNA code, and shift the language until the message is clear, positive and concise. Whether we are working together in person or from a distance, I will have you handwrite this message on paper and give it to me. Once I receive it, I will lay this down as the first layer of your custom painting, while praying and supporting your intentions. I will then cover the words or symbols up with more layers of paint, creating an abstract dreamscape, and documenting the process. A magical masterpiece infused with your own motivational message. Unique, empowering statements that tune you in to the Spirit of Love anytime, and help you to form new, positive neural pathways and connections. A visual reminder of your Love frequency, and your own intentions for creating your dream life. Process photos and videos of our co-creation. A badass piece of abstract, intuitive, spiritual healing art for your own sacred space, be it home, work or chill. I am what I call an "image composer”. 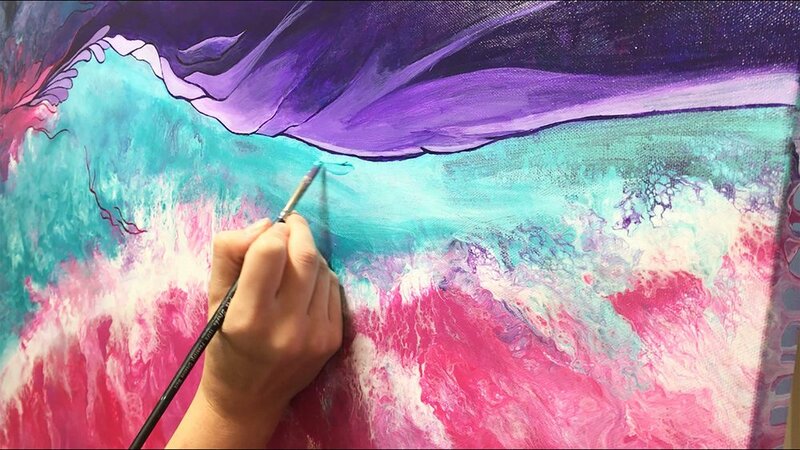 I absorb inspiration from moments constantly throughout the day and express them in any way I can using different palettes of color and a vast array of mixed media. My favorite go-to's are acrylic paints, acrylic inks, oil paint, alcohol inks, powdered pigments, fluid acrylic mediums and epoxy resin, although I also love Prismacolor pencils, magic markers and pastels. I am an avid photographer, endlessly inspired by new textures, natural scenes and clouds in the sky. I love to combine all of these mediums into new ethereal compositions that remind me of all the precious moments, interwoven together into textural, abstract dreamscapes. I am compelled to create. My intention for sharing my art and serving you is simply to spread the vibration of Highest Love to everyone we can reach. We make it happen together. *what if you're not an artist?! Creativity is not about art making. It is about believing in yourself to the core, embodying your natural intuitive qualities, which everyone has, allowing yourself to be inspired by everyday occurrences, and trusting your process! It does not take any physical tools to be creative. We can all tap into the creative flow by simply observing, being open to new possibilities, looking for reasons to smile and expressing gratitude. I have changed my life by doing this, and now, I’d just love to share my process with you! I am so looking forward to helping you to play, create, discover, and transform your life! To live a free life, you must Practice a connection with Spirit through everything.